2. 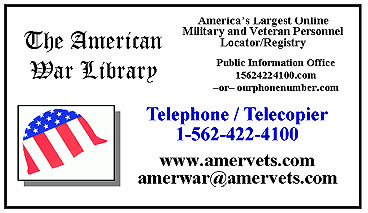 Click the button at the bottom of this completed form to email it to The War Library, along with a photocopy of the required document(s) described on the Instruction Page, or you can Print and mail this form and the required documents to the Library's mailing address below. Would you like a published copy of My Military Medal Last Will & Testament? Personalized items shipped or emailed with a name & SN/PSN number cannot be returned or refunded. However, although typographical errors are very rare, there is no time limit on requesting corrections to errors.